Unmanned marine vehicles (UMVs) is a collective term commonly used to describe autonomous underwater vehicles, remotely operated vehicles, semi-submersibles, and unmanned surface craft. UMVs are heavily used in the military, civilian, and scientific communities for undertaking designated missions whilst either operating autonomously and/or in co-operation with other types of vehicles. Advanced marine vehicles are increasing their capabilities and the degree of autonomy more and more in order to perform more sophisticated maritime missions. Remotely operated vehicles are no longer cost-effective since they are limited by economic support costs, and the presence and skills of the human operator. Alternatively, autonomous surface and underwater vehicles have the potential to operate with greatly reduced overhead costs and level of operator intervention. An unmanned aerial vehicle (UAV), commonly known as a drone, is an aircraft without a human pilot aboard. UAVs are a component of an unmanned aircraft system (UAS); these include a UAV, a ground-based controller, and a system of communications between the two. Compared to manned aircraft, UAVs were originally used for missions too “dull, dirty or dangerous” for humans. While they originated mostly in military applications, their use is rapidly expanding to commercial, scientific, recreational, agricultural, and other applications such as policing, peacekeeping and surveillance, product deliveries, aerial photography, agriculture, smuggling, and drone racing. Civilian UAVs now vastly outnumber military UAVs, with estimates of over a million sold by 2015, so they can be seen as an early commercial application of Autonomous Things, to be followed by the autonomous car and home robots. Nowadays, UMVs and UAVs are playing an increasingly important role in both controlling community and engineering applications. For example, UMVs and UAVs provide more efficient ways to execute various challenging tasks. However, these systems are usually featured with dynamics coupling, actuator saturation, underactuated structure, time-varying disturbance, etc., thereby resulting in great challenges and difficulties in system analysis and controller design. Recently, by employing intelligent approaches, advanced control methodologies for unmanned systems have been rapidly developed. Note that the dynamic environment is usually changing and the unmanned systems must adapt themselves accordingly. In this context, on one hand, more efforts should be focused on the methodology of the learning system. For example, fast adaptation and self-organizing capability are essentially required. On the other hand, advanced analysis tools should be deployed to enhance the control performance. Towards this end, human-like intelligence should be integrated tightly with nonlinear design for complex control tasks of autonomous systems. 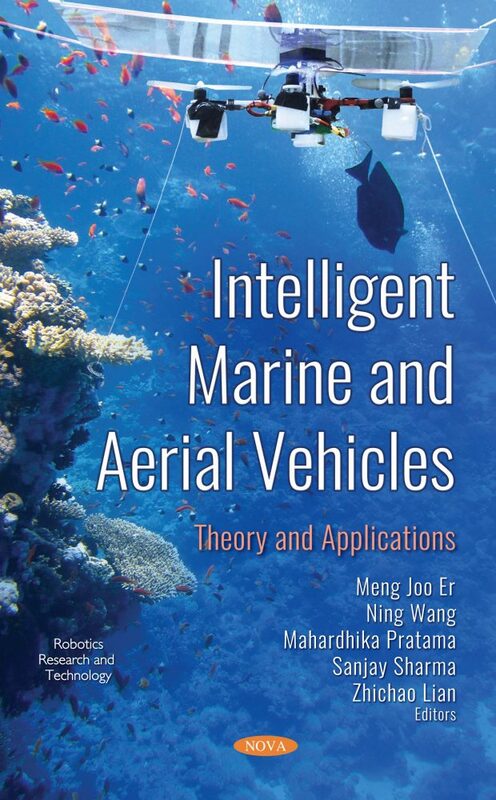 The main objective of this edited book is to address various challenges and issues pertinent to the intelligent control of UMVs and UAVs.